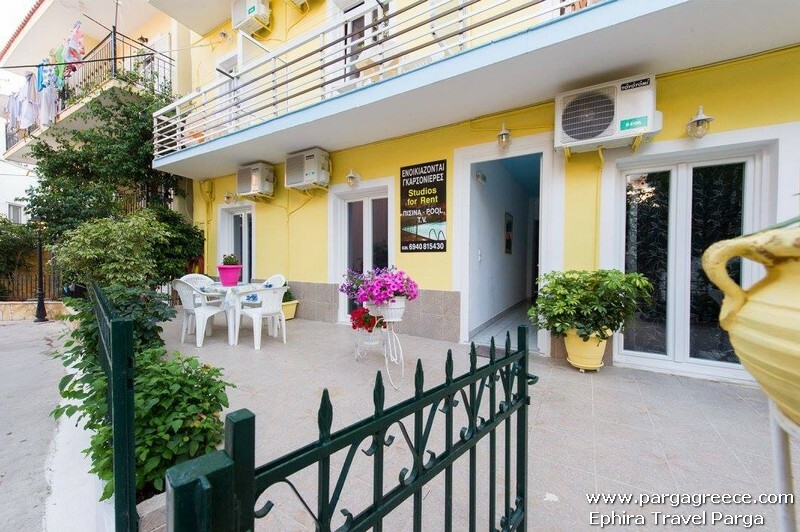 N0 114-VILLA-HOUSE CLOSE THE CENTRE (APARTMENTS AND STUDIOS -PARGA. 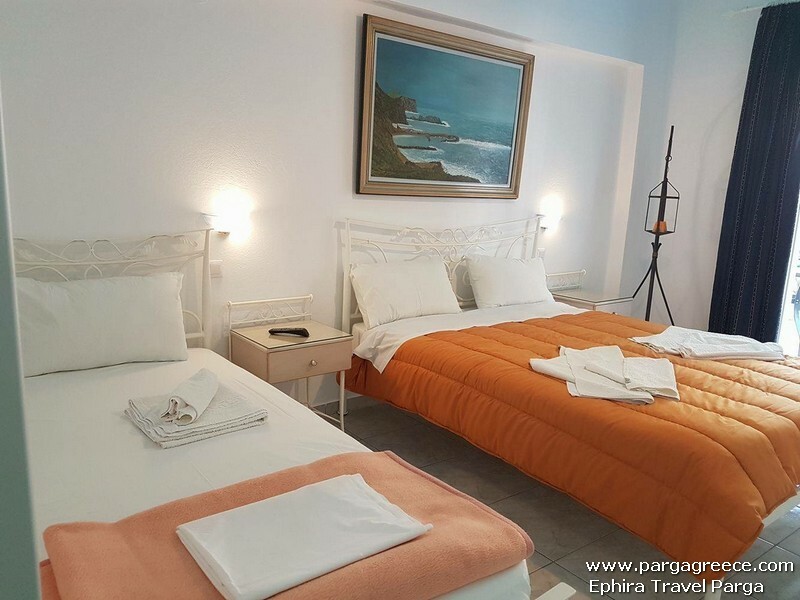 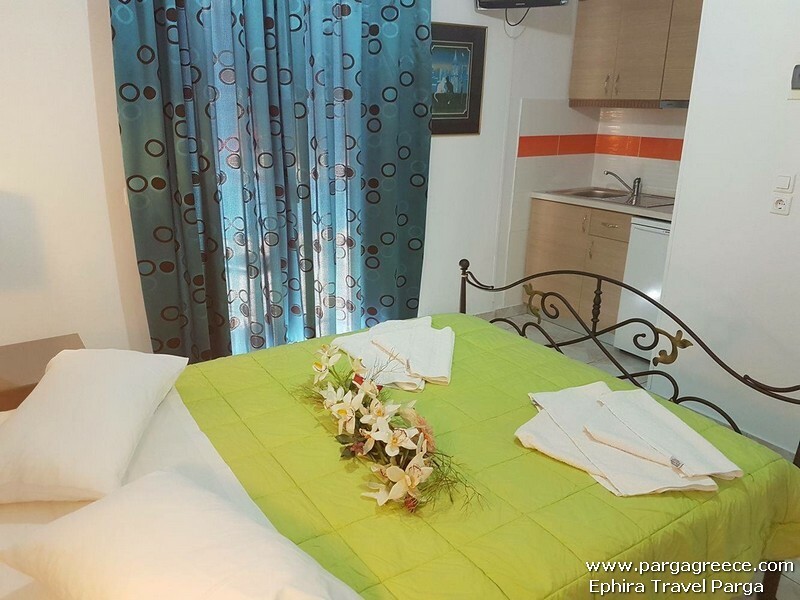 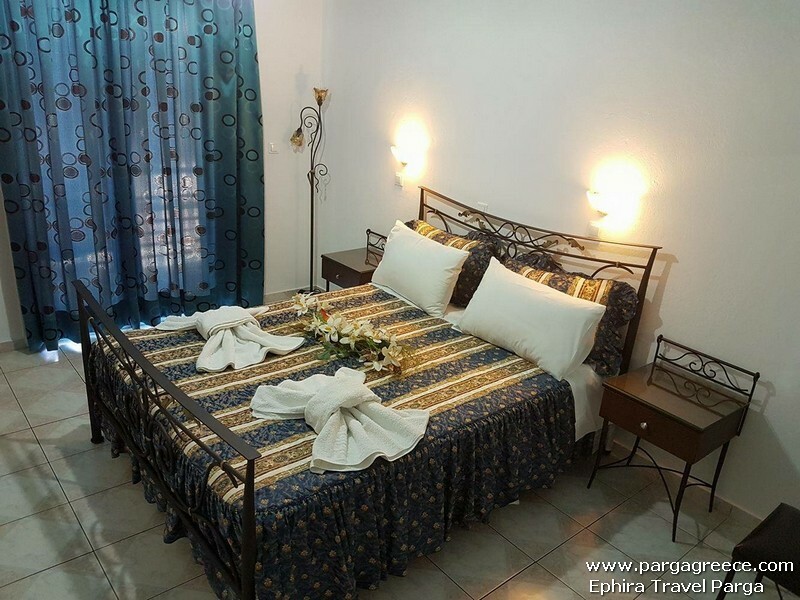 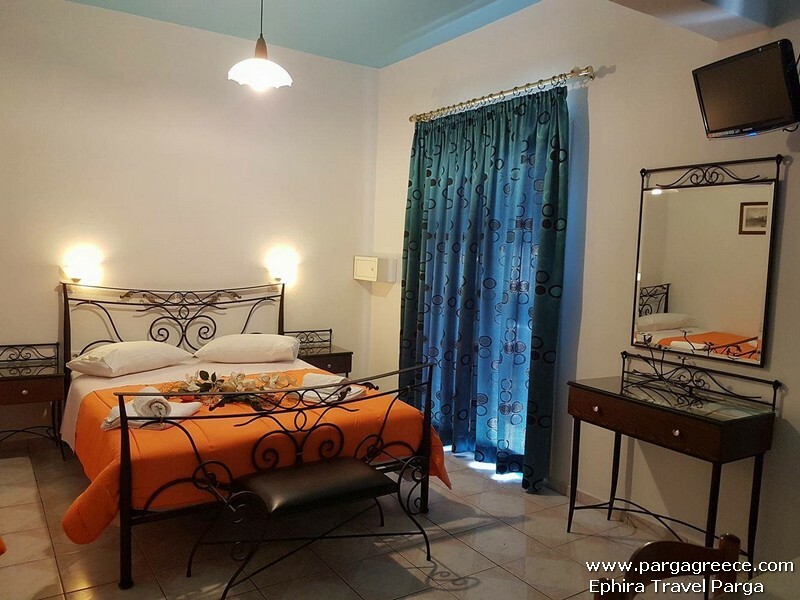 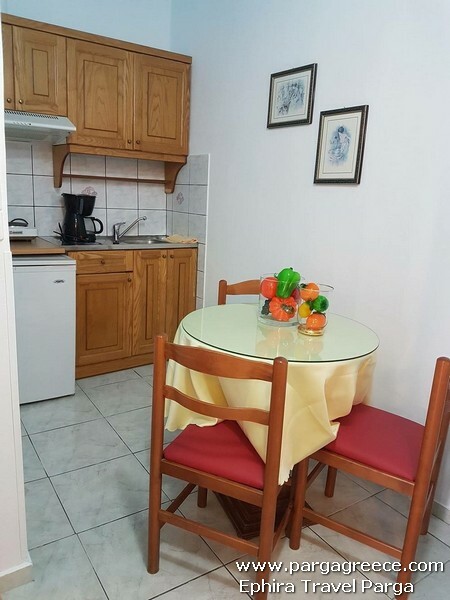 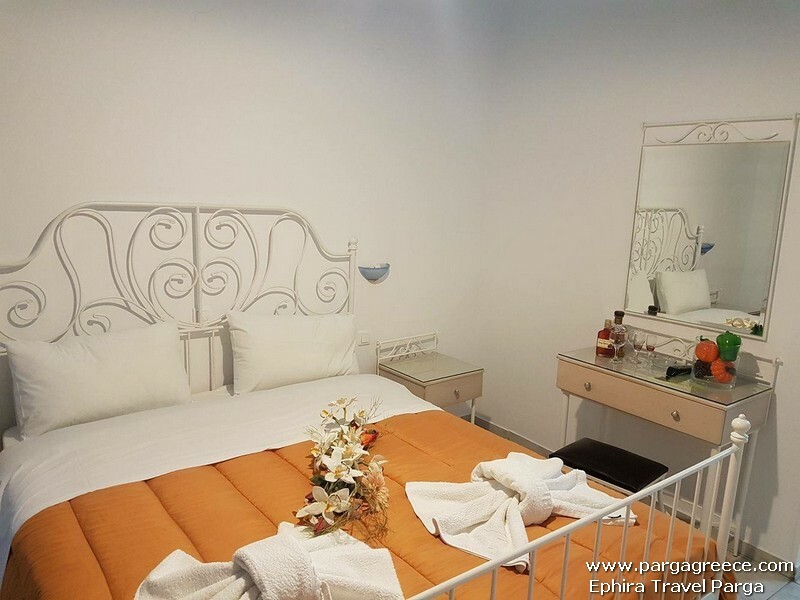 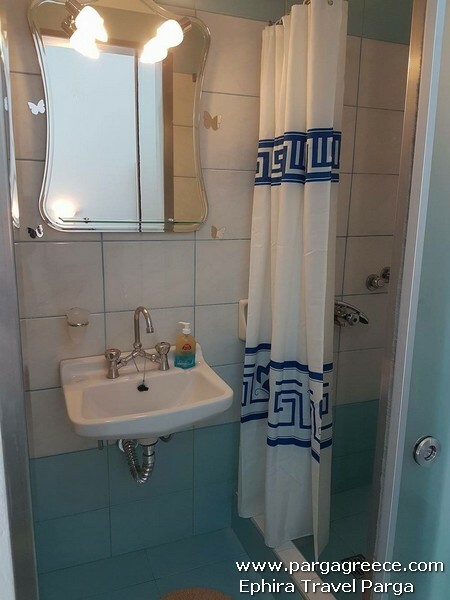 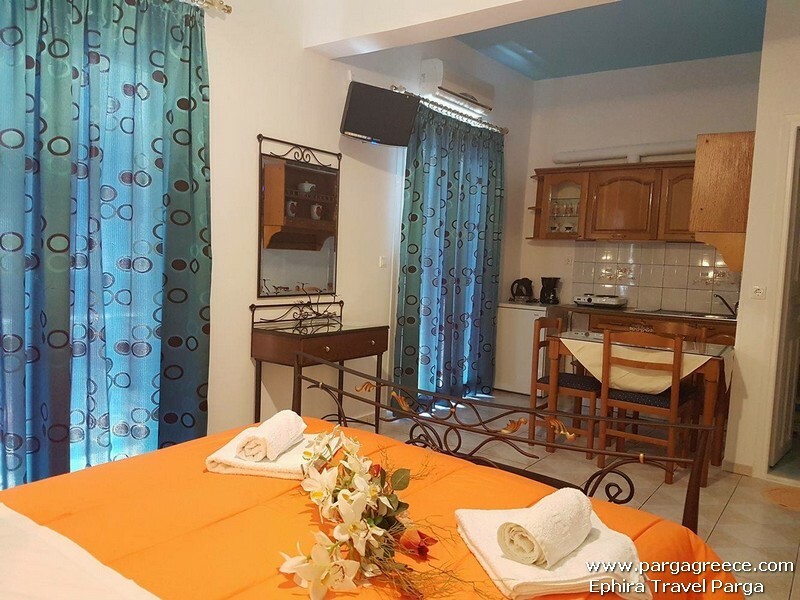 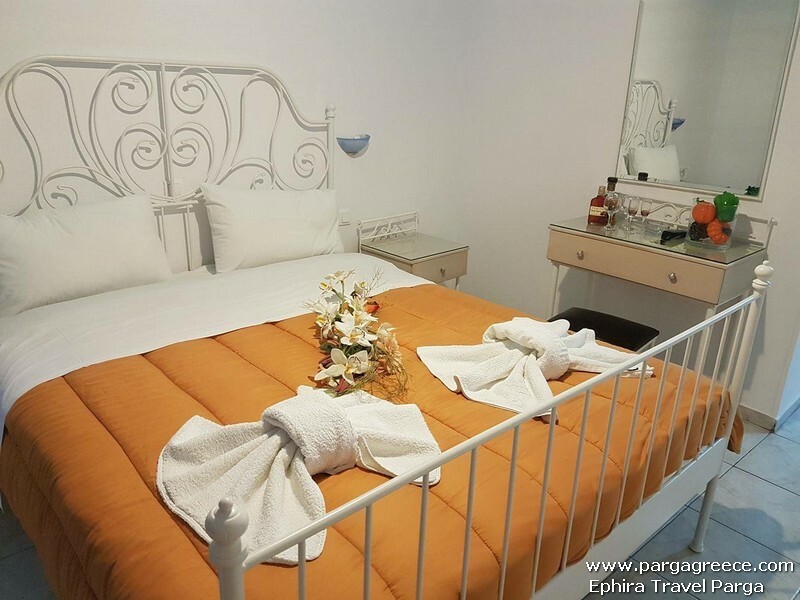 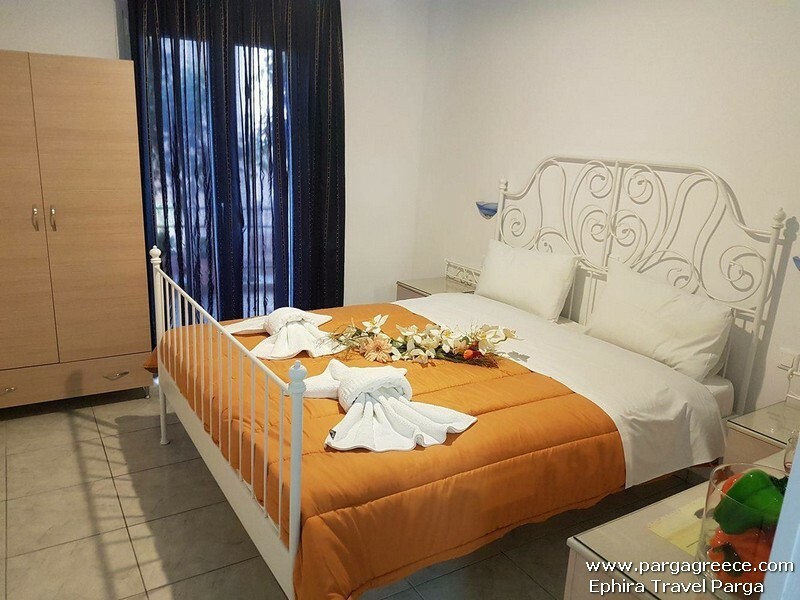 Distance from the beach 400 m.
This Fully renovated House (In 2016), situated very close to the centre of Parga in a quiet area ,offer Studios and 2 large (2 bedroom apartments).Each Studio and Apartment offers:Television,Air-conditioning and Wi-Fi Internet. 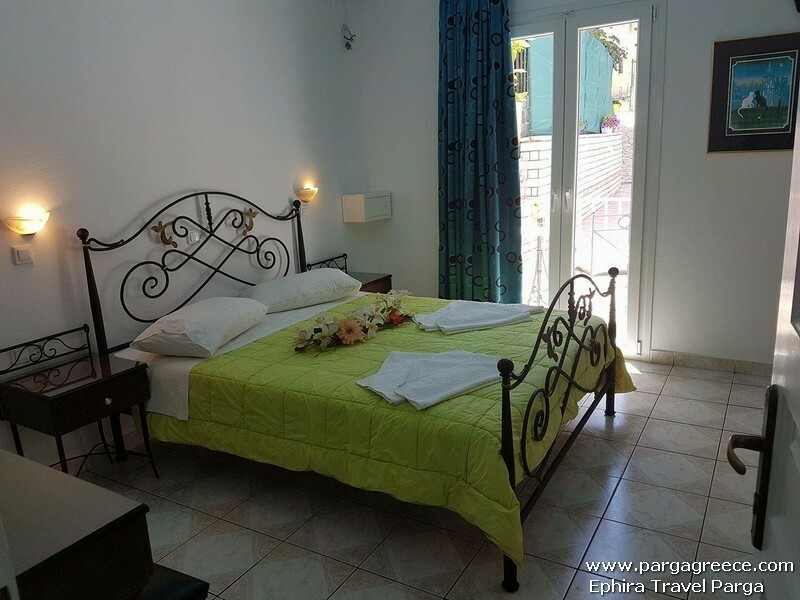 Only 2 of the Studios can be triple (with an extra bed for a child) and only a couple Studios offer a double bed and some other Studios offer two single beds (But can be also a double bed ,if you put the two beds together). 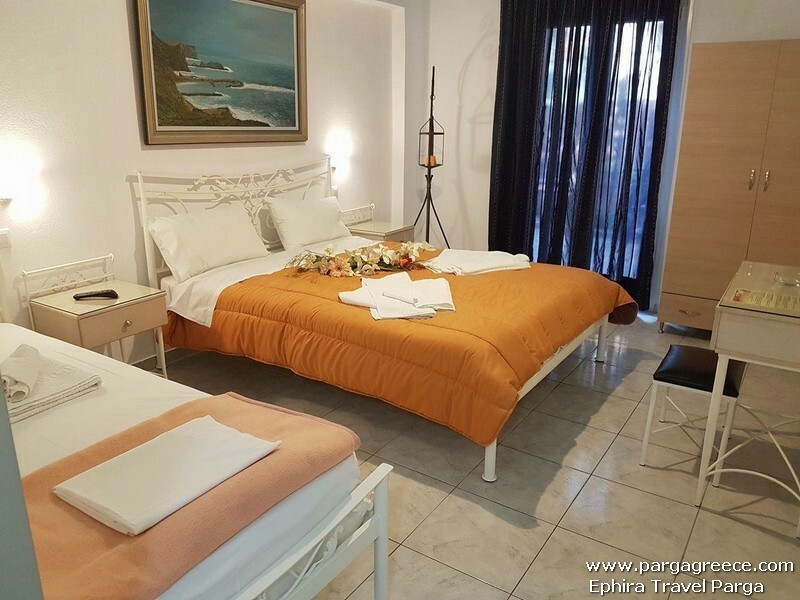 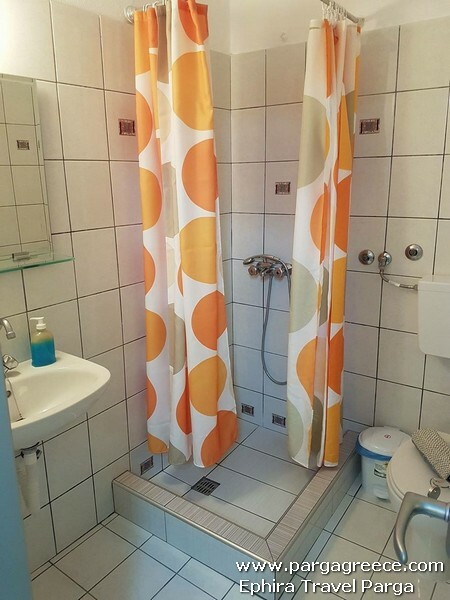 Each Studio offer the bedroom with the kitchenette inside, private bathroom, air-conditioning, television,private balcony and Wi-Fi Internet . 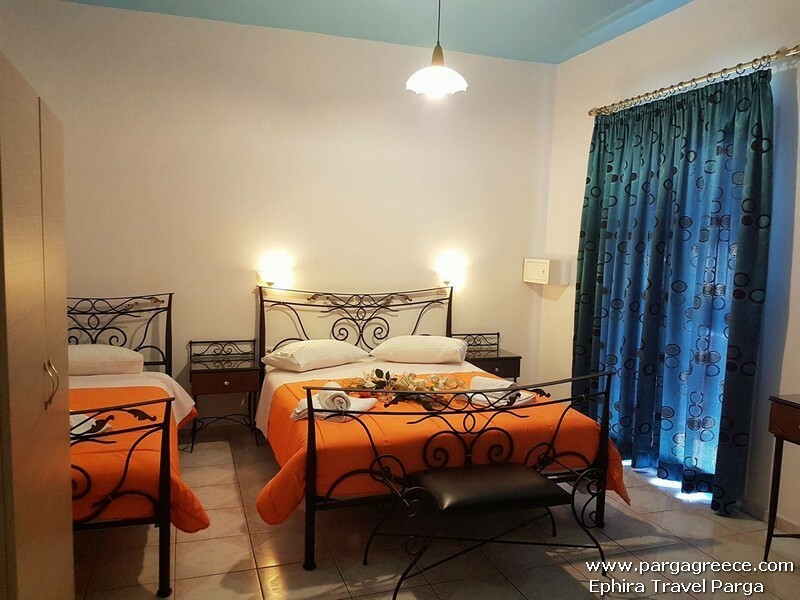 The two large family apartments are ideal for 2 couples, family of 4 persons or even 4 friends and Only one of the two apartments can accommodate a family of 5 persons. 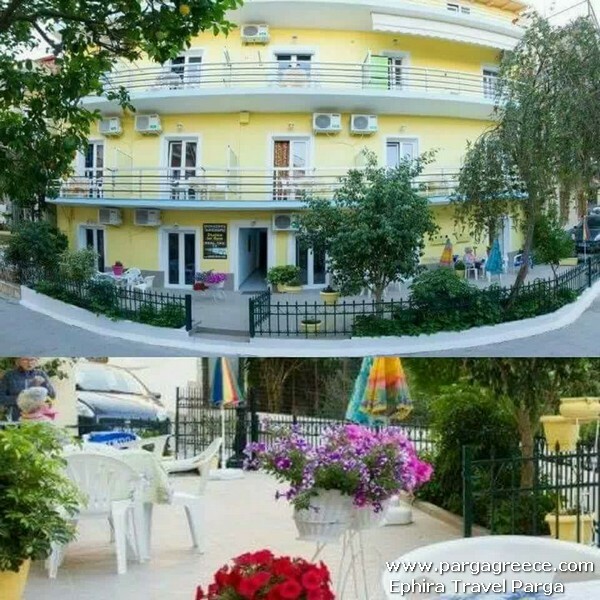 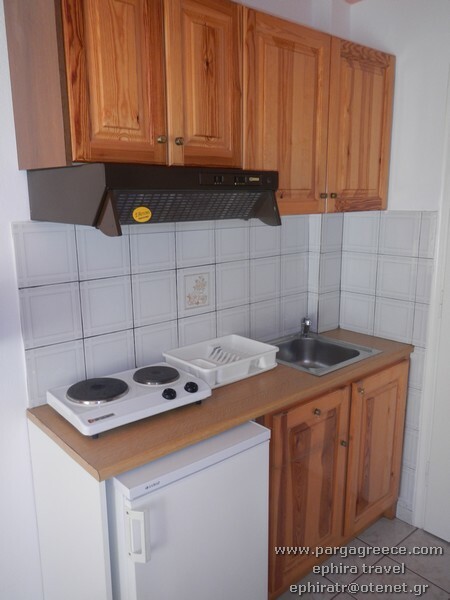 Both large apartments are situated on ground floor and each apartment offer two separate bedrooms (One with a double bed and the other with 2 single beds), separate kitchen ,private bathroom, air-conditioning, television,Wi-Fi Internet and private large veranda with tables and chairs to sit outside. 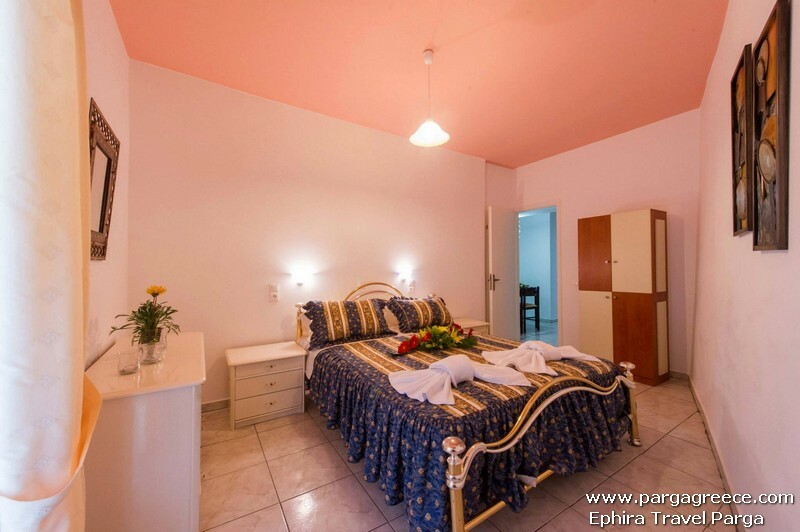 As The House is situated close the centre with all comforts( such as air-conditioning, television,Internet Wi-Fi) it is a good solution for Guests they prefer someting close the centre of Parga and also an accommodation within walking distance form the 2 central beaches of Parga(Kryoneri and Piso Kryoneri beaches) and alny a couple of minute walk for the historical centre of Parga and the small harbour of Parga.